Rumor Roundup: LTE iPhone? iPad Retina Displays? Rumors travel fast ... but not as fast as a cheetah ... riding in a rocket-car! 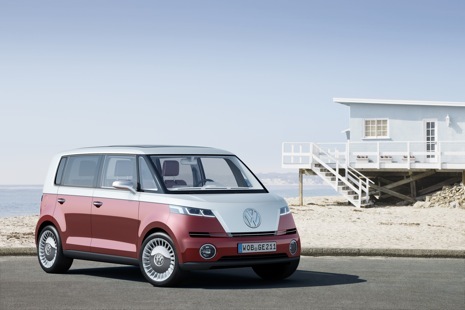 Volkswagon to build a MiniBus-inspired mini-van? iPad 3 displays will be retinas? Next-gen iPhone getting LTE capability? Apple will invest $1 billion in Sharp's LCD plant? Harry Potter-themed Sony eBook reader? The Leaky Cauldron reports that the device will come pre-loaded with all seven books, a letter from J.K. Rowling, subscription to Pottermore, and a "themed" carrying case. Though, if words start appearing on-screen, as if by magic ... immediately kill it with a Basilisk tooth (not included). Better to be safe than sorry. Jeff Somogyi is the dealnews Media Editor. He tried to make a Horcrux, but he's a bad speller. See more of his magical puns on Twitter or his blog.